Belmond's sister properties in the region, Cap Juluca and La Samanna, are showing that Anguilla and St. Martin are ready to welcome tourists — despite different levels of post-Irma rehabilitation. Barbuda, St. John, St. Thomas, St. Bart's, Turks and Caicos, the British Virgin Islands. Places that, for many of our readers, are synonymous with luxury island vacations — and for many more, are simply home. After the devastating hurricanes of 2017, few of the Caribbean's most populous and heavily touristed islands were spared. The region is steadily coming back online, thanks to a relatively mild hurricane season last year and a concerted effort to rebuild and renew. And alongside new roads, schools, and airports, you'll find revamped hotels and travel infrastructure — an integral part of the way things are done on the islands these days. 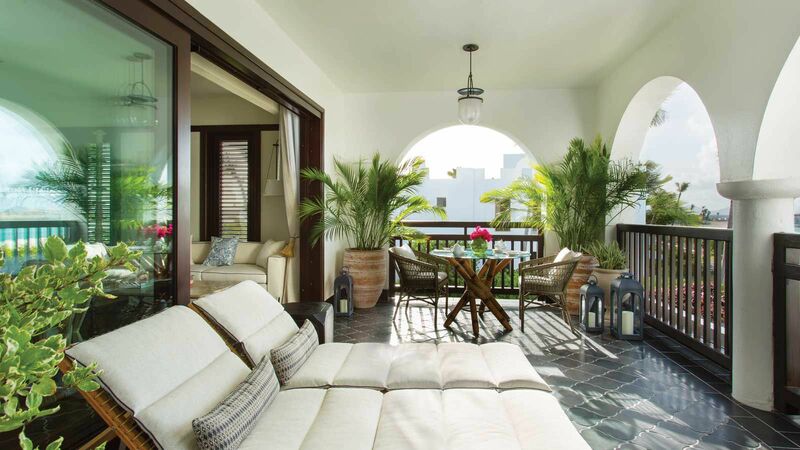 Two of the Caribbean's most storied resorts — La Samanna in St. Martin and Cap Juluca in Anguilla, sister properties operated by luxury travel company Belmond — have just debuted after making the most of their forced rebuilding. 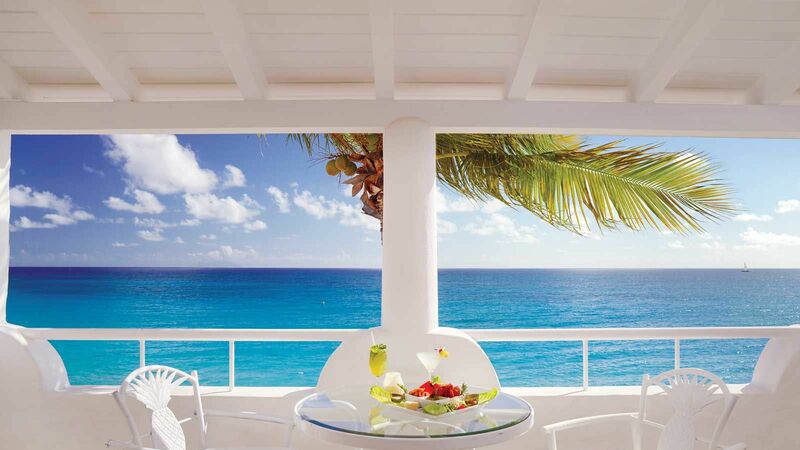 Their highly anticipated openings shout to the world: the Caribbean is ready to have you back. But though they're just a 30-minute ferry ride apart, the recovery stories on St. Martin and Anguilla are very different. Saint Martin, a 35-square-mile island next to Puerto Rico that's half-French (Saint-Martin), half-Dutch (Sint Maarten), was among the islands most devastated by the hurricane. On the southern, Dutch side, it's been estimated that one of every three buildings was destroyed. You'll see the occasional yacht, dinghy, small plane, or even large tanker ship languishing, half-submerged, in the turquoise waters of the largest marinas. (Many of these craft actually date to Hurricane Luis, which struck in 1995 — generally accepted these days as part of the island's unique scenery, most remain in limbo due to insurance issues.) On the less urbanized French side, there are more felled trees, roofless buildings, and shuttered shops, even 18 months on. While it's estimated that about 75% of the island is back in pre-storm shape, and the airport building reopened back in December, the recovery is still very much in progress. Belmond La Samanna, which will complete a $25 million facelift in March, is a beacon of renewal. Strung along the limestone bluffs and white sand and of Baie Longue — this private beach, one of the best in the Caribbean, has made a fabulous comeback — the resort dates back to 1973, and it's been a favorite low-key haunt of discerning travelers from France and around the world ever since. The 83-key property has been re-envisioned by London-based design firm MuzaLab, which also helped dream up concepts for other Belmond properties, including their luxe Andean Explorer train. A full renovation will debut in March, with hand-carved Balinese wood furniture, fine textiles, and a more modern look. 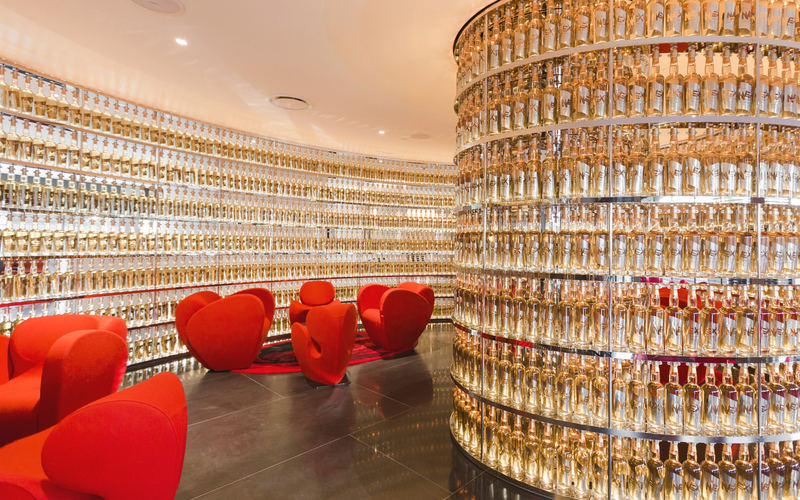 But the same La Samanna that regulars know and love is still there, too, including its French-inflected restaurant and the La Cave wine cellar, which houses the largest private collection in the Caribbean. When I visited, just after its soft launch, the old crowd was back in full force — lounging with white wine in the pool, and hoping that their patronage could play a role helping their home-away-from-home rebuild. Anguilla, by contrast, was among the first of the islands to bounce back. The small, skinny, 16-mile-long island is packed with resorts, some of which reopened as early as January 2018. Tourism is up, and local mainstay businesses — like Blanchards, a 25-year-old institution on Meads Bay that reopened in mid-November with an revamped dining room and menu — are once again serving their regular customers. Driving from the ferry terminal to the center of the island, you won't find the major storm scars still visible back in Saint Martin: no uprooted palms or signs with missing letters, just the occasional roving rooster and ocean views in every direction. Those buildings you see without finished roofs, according to my cabbie, Didric, are just a symptom of a tax loophole that goes easy on properties still under construction. A huge part of Anguilla's quick recovery is the matter of construction: after Hurricane Donna hit in 1960, the island's previously wooden structures were almost universally replaced with concrete buildings. In Saint Martin, wood remained the construction material of choice — and wooden buildings don't fare very well in hurricanes. 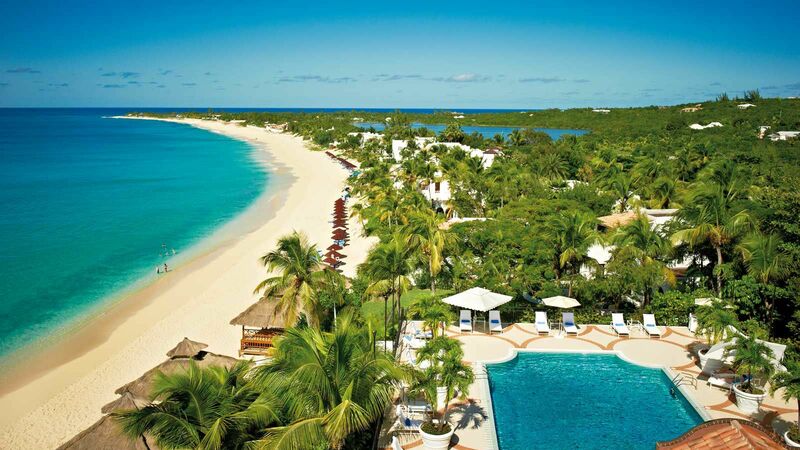 Why did Belmond Cap Juluca wait it out? The team at this resort, which opened in 1988, took the storm as an opportunity to regroup. The property had only been purchased by Belmond a few months before it was shuttered; instead of simply aiming to reopen, they went all in on their plan for a a massive, $121 million redesign and expansion. 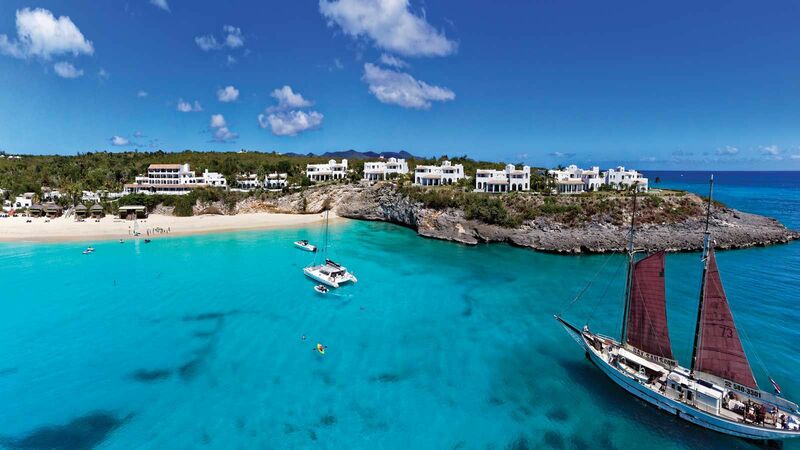 Daniel Pasquali, Belmond's marketing lead in the region, told me that a tourism ministry representative once advised him, "how Cap Juluca is doing is how Anguilla is doing." It's a big mantle to bear. 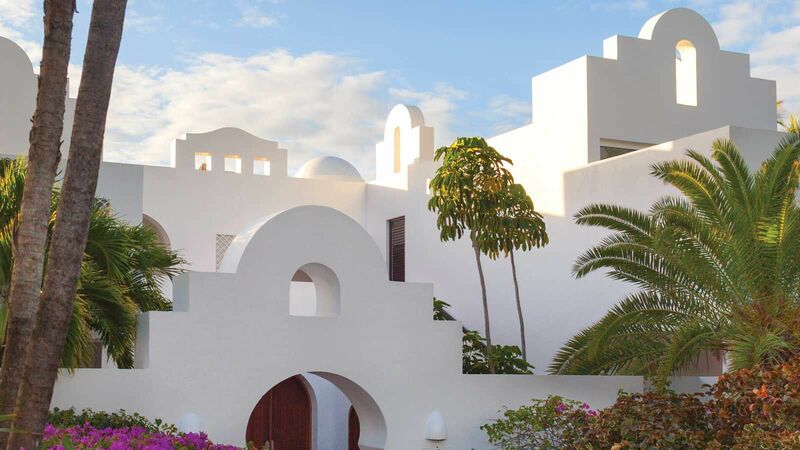 Five villas have been added, bringing the total room count up to 108, and I challenge you to figure out which ones are the newcomers — they blend seamlessly in with the rest of the whitewashed, Moorish-style buildings that arc along the private beach on Maundays Bay. Each of the villas has been fully renovated, with modern conveniences like Bluetooth speakers and charging ports tastefully concealed in drawers and cupboards. A beachy palette of neutrals and pastels dominates, with special touches like guidebooks for shell-collecting and scientific illustrations of local flora and fauna on the walls. My favorite corner was my private bathroom patio, connected to the shower via a glass door to let in a cool sea breeze. Other additions include a new spa and the Cap Shack, a seaside bar in the model of Anguilla's famous beach barbecue joints. The main restaurant, Pimms — which actually predates the hotel — has a new executive chef in Londoner Andy Gaskin, and now serves elevated seafood-focused plates with a Moroccan twist and a chef's table tasting menu. At both resorts, I was able to chat with staff and guests alike about the aftermath of the storm and the recent changes. The crowd at both properties seemed to be entirely made up of diehard devotees, regular visitors who wanted to see the new updates as soon as possible. I also met plenty of people happily returning to posts they'd held for 10 or 20 years, greeting old friends as they arrived. But many, including Kennedy, the attendant who walked me to my room when I arrived at Cap Juluca, were new hires. The resort was a huge part of Anguilla, he told me, and he was excited to be on board.